With paintings on exhibition in hundreds of museums and galleries worldwide, Peter Max and his vibrant colors have become part of the fabric of contemporary culture. The artist has had the distinct honor of painting the last seven presidents of the United States and the world’s best loved celebrities. 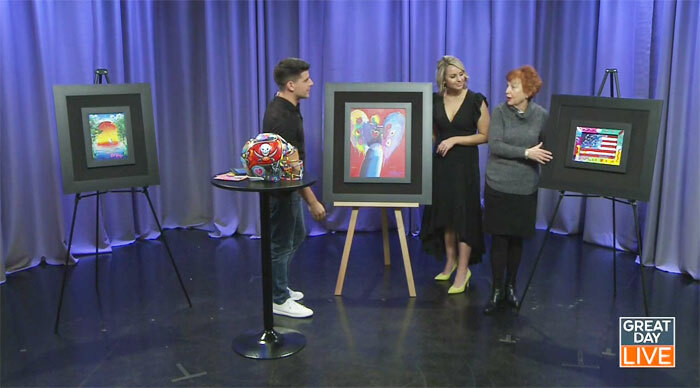 Curator Lesley Smith came by to show us a few of his works and tell us more about the Peter Max exhibition and sale showing right now at Syd Entel Galleries. Go to sydentelgalleries.com.